Pushing us to reach our potential and led us to dream big and do extraordinary things. 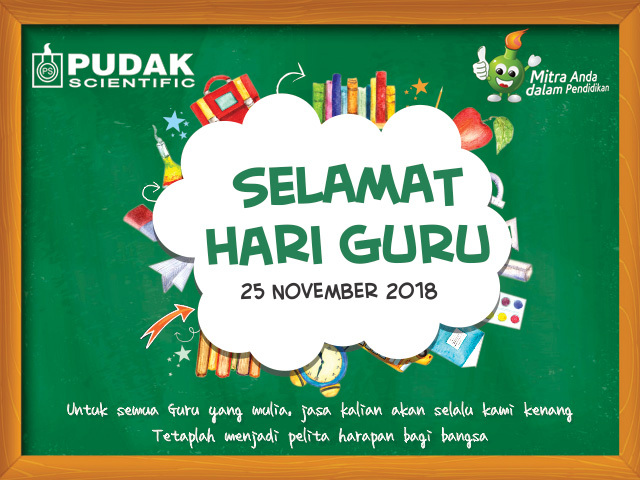 Pudak Scientific would like to express the highest respect to all teachers in Indonesia. We will always remember your goodness and dedication. Keep becoming lamp of hope for our nation. Happy National Teachers’ Day and PGRI (the Indonesian Teachers’ Association) 2018.